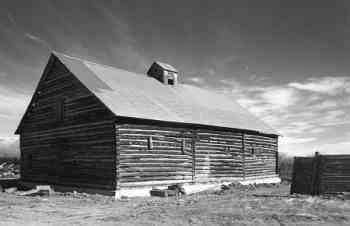 The Oxford horse barn, constructed in 1887, is both one of the oldest and one of the largest barns in Albany County, Wyoming. It is also probably the County’s best preserved example of vernacular architecture as influenced by late 19th century English cattle and horse ranchers. It provides important evidence for an interesting phenomenon in the history of the American West: the transplantation of the English upper class thoroughbred horse culture to the Rocky Mountain west and more specifically, Wyoming. The rigid, tripartite, bilateral symmetry of the barn justifies considering it an agricultural manifestation of the “Georgian vernacular” tradition so pervasive in the domestic architecture of England and the eastern United States. The Oxford horse barn also figures prominently in local history. Most notably it is associated with the name of Axel Palmer, who worked at and later became part owner of the then Whitehouse Ranch on which the barn is located. Palmer trained horses and used the barn loft as a kind of obstacle course for breaking teams. 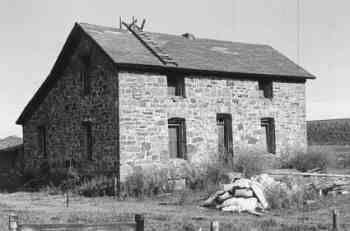 The Bath Ranch stone house and barn are outstanding examples of late 19th century native stone construction practiced by the Bath family in and around Laramie. The buildings are constructed of eighteen inch thick stone and are the only known rural structures associated with the Baths remaining in the state. They are associated with the beginnings of the cattle ranching frontier, an episode which significantly influenced the broad patterns of Wyoming’s economic, political and social history, and with the Bath family who made significant economic impacts in the region. Henry Bath was one of the first to ranch on the plains of what is today Albany County. 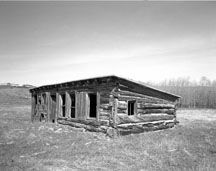 He established a crude homestead on the Little Laramie River at what is now the “Stone Ranch” sometime between 1869 and 1870. 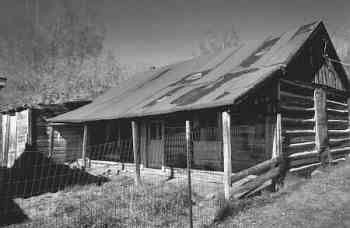 The original structures, consisting of a modest cabin and a small barn, no longer exist. In 1875, however, Henry and his sons quarried stone for and built the two imposing structures. The construction occurred during a period marred by the last coordinated Native American uprisings of the 19th century. The stone ranch reflects the relatively insecure period and location of its construction. Designed to repel possible Indian attack the stone ranch buildings stand as a rustic fortress in miniature. The Bath Row Historic District includes four buildings constructed in 1883. 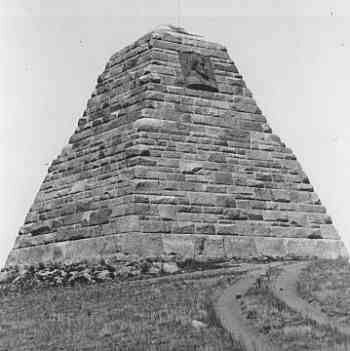 These structures were built by the Bath family, important contributors to Laramie’s early settlement period. Known for their fine stone buildings and business activities, the Baths were involved in merchandising, hotel ownership, early ranching, and the construction and rental of housing for railroad workers. This, in a town with a population of only 2,000 at that time, makes it easy to understand just how much power they wielded. 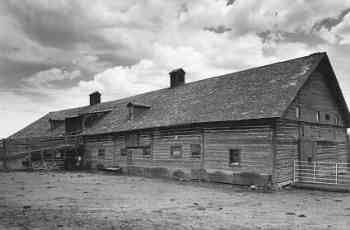 These buildings are excellent examples of a type, period, and method of construction used in Laramie’s early settlement period, which was in large part determined by the Baths who set the standards upon which much of the local building traditions were based. Constructed as rental units for railroad workers, the stone structures are representative of the arrival and continuing influence of the transcontinental railroad in Wyoming. 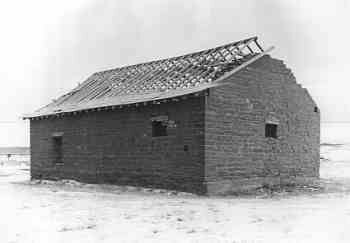 Though nine houses and a barn were initially constructed, only four retain integrity and serve to provide a clear example of Laramie’s early stone buildings. The others along the row demonstrate the personal tastes and trends which later became popular. Although its setting and architecture are not unique or on a grand scale, the Boswell Ranch is a typical Wyoming livestock operation. The Ranch was established sometime during or following 1868. An Albany County title abstract record reveals that the first entry was made for the Boswell property in 1878, and since that time the ranch has changed owners a number of times. The ranch is significant for its association with a citizen of regional importance in Western history, Nathaniel K. Boswell. Boswell was appointed Albany County Sheriff in 1869 by the first Wyoming Territorial Governor, John A. Campbell, and was later elected to that office three times. Boswell held other law enforcement positions and at one time or another is reported to have been a United States Marshal, chief of detectives of the Wyoming Stock Growers Association from 1883-1887, a Union Pacific Railroad detective, and an employee of Dave Cook’s Rocky Mountain Detective Agency. He also served as warden of the Wyoming Territorial Penitentiary when that institution was opened in Laramie in 1873. 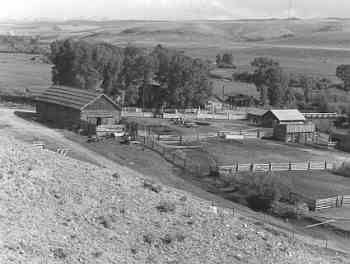 Boswell’s interest in the Boswell Ranch dates from 1886 when he first acquired, with William H. Hill, a half-ownership in the ranch. The Ranch is also important as it relates to its location along a freight and stage route known as the North Park-Laramie Plains Road. Located about halfway between the towns of Walden and Laramie, the ranch served both freighters and stagecoach passengers. It was a road ranch, a place where horses were changed and where travelers spent the night. 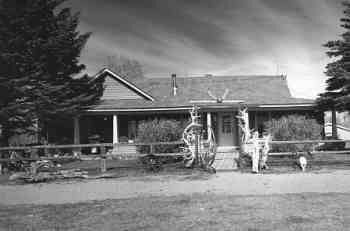 Brooklyn Lodge, named for nearby Brooklyn Lake, is significant because of its association with the development of dude ranching and the tourist industry. 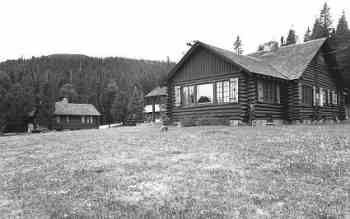 The lodge was built during 1922 and 1923. At this time, dude ranching was in the process of evolving into guest ranches and resorts where visitors no longer participated only in day to day ranch work, but also in activities catered to their interests. Brooklyn Lodge provided quiet solitude, fishing, and horseback rides into the surrounding mountains beginning in 1924 with its first paying guests. The lodge is also important because of its association with Harry D. “Hoot” Jones. Born in 1882, Jones established himself as one of the most skilled rodeo performers in the Rocky Mountain Region. Inspired by Libby Lodge, a nearby guest ranch which had opened in 1919, Jones selected a location to build his guest ranch, the Brooklyn Lodge. 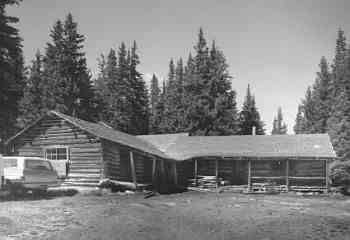 The Jones family operated the Lodge into the late 1930s. Constructed in 1907, the Centennial Depot is the oldest surviving depot of a unique Rocky Mountain railroad. The Laramie, Hahn’s Peak and Pacific Railway Company, formed in 1901, provided valuable rail service to a remote area of Wyoming, and was integral to the economic life of the Centennial Valley and the Medicine Bow Mountains. Ranching, lumbering, and mining interests all relied heavily on the 111 mile line. Originally planned in anticipation of a gold strike which never materialized, the railroad instead transported the more profitable products of the Centennial area: cattle, lumber, and coal. The Centennial depot symbolizes the role the railroad has played in the settlement of the region. The building has often served as a center of community activity. At one time, the U.S. Post Office was located in the waiting room and a small grocery store was once operated in a corner of the structure. The Centennial Work Center is located on the eastern slopes of the Medicine Bow Mountain Range. 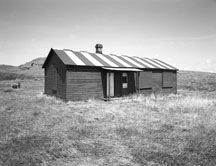 It was originally built as a remote ranger station and converted into a work center when the Centennial Ranger District was consolidated with the Pole Mountain and Foxpark Ranger Districts into the Laramie Ranger District and headquartered in Laramie. 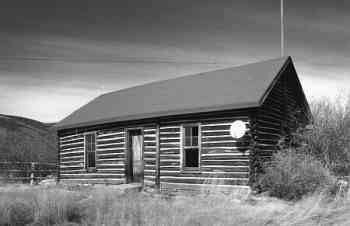 The USDA Forest Service facility has three contributory historic buildings built from 1938 to 1940 including an Office/Dwelling, Dwelling, and a Shop/Garage. The Centennial Work Center is significant for its association with expansion of Forest Service administration from custodial superintendence to active resource management. Built by the Civilian Conservation Corps, it reflects the contribution of this Federal Works program to the expansion of Forest Service resource management during the 1930s. It is also significant because it embodies a distinctive style of architecture developed by the Forest Service during the Depression era. 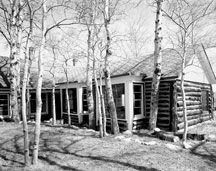 The use of standard plans was typical of remote Forest Service installations and the log building style conformed well with the forested surroundings. 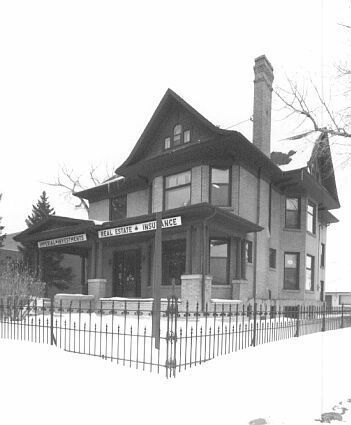 The Charles E. Blair House is a local landmark located within the urban setting of Laramie. Constructed in 1911-1912, the architectural distinction of the Blair House lies in the fact that it is a well preserved example of a late Victorian house form, built a decade after Victorianism’s official “death”. The asymmetrical massing of the building, picturesque roofline, variety of textures and materials, classical motifs, and interior spatial organization earmark the building as a holdover from the Queen Anne style, which had remained popular throughout the state long after its abandonment elsewhere in the country. The Blair House is also representative in that its architect, William Redding & Son of Denver, Colorado, was brought in from out of state, a common occurrence at the time. Como Bluff is a long ridge extending on an east-west axis approximately six miles between the small towns of Rock River and Medicine Bow, Wyoming. The ridge is an anticline, the result of folding geologic pressures. Two geological formations, the Sundance and the Morrison, relating to the Mesozoic Era are exposed. Here paleontologists of the nineteenth century discovered and unearthed, from Morrison formation strata, many perfect fossil specimens of large land dwelling creatures. It is thought that Como Bluff was the site of the first major discovery of dinosaur remains in the world. Significant discoveries were made in fourteen different quarries scattered along the entire length of the ridge. Designed by Laramie architect Wilbur Hitchcock and constructed in 1921, the Cooper Mansion blends the Mission style and the Pueblo style of architecture. The nominated area includes the mansion as well as a small 1 ½ story stuccoed brick building once used as a squash court-garage constructed in 1923 and also designed by Wilbur Hitchcock. The Cooper Mansion is historically and architecturally significant to both Albany County and the State of Wyoming. 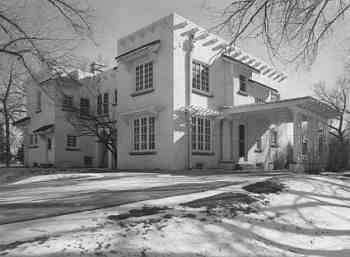 The mansion represents two significant periods in Wyoming history. As the Cooper family home the mansion serves as tangible evidence to the extent and character of British economic colonialism in the western United Stated during the late 19th century. Beginning in the 1870s many wealthy young men from Britain came to Wyoming and purchased huge tracts of land on which they sought to establish virtual empires. Collectively called the “Cattle Barons,” on the Laramie Plains, Frank Cooper was the leading member of the foreign-born contingent. Stylistically, the structure is significant because it represents Wyoming’s adaptation of the Mission and Pueblo styles in a 1920s residential building. As an interesting combination of styles, the Cooper Mansion is the only structure of its type in the state. Dale Creek Crossing is located approximately twenty miles southeast of Laramie, Wyoming. It is four miles west of Ames Monument which marks the highest point on the Union Pacific route of the first transcontinental railroad. Situated on the Dale Creek Gorge, the crossing consists of about twelve piers and two abutments of granite masonry spaced evenly along a northeast-southwest line. The two abutments lie directly opposite each other on the brink of the gorge. The piers were constructed for the first Dale Creek Bridge in 1868. The abutments were added circa 1885. Both piers and abutments are constructed of native Wyoming stone cut and fit by hand without the use of any type of mortar. The first Dale Creek Bridge was a wooden structure 720 feet in length. In 1876 the wooden bridge was replaced by an iron one manufactured by the American Bridge Company of Chicago, Illinois. It was constructed upon the same 1868 piers. In 1901 the bridge was replaced, abandoned and then dismantled by the Union Pacific when the line was rerouted. The Dale Creek Crossing is significant for its association with the establishment of the transcontinental railroad which opened the west for settlement following the Civil War. The Durlacher Residence is eligible for the National Register of Historic Places under Criterion A due to its association with community planning and development and is significant at the local level. The property signifies the importance of merchants living in the town and building large homes as a display of their wealth and influence. The presence of merchants was essential to the growth of Laramie, a town established in 1868 along the path of the Union Pacific Railroad. Simon Durlacher moved to Laramie shortly before the railroad arrived and established a clothing business. Durlacher became a prominent citizen and he and his family were well-known in Laramie’s business and social circles. The Durlacher Residence typifies the pattern of important Laramie citizens owning substantial homes and portraying their influence in the community. This residence, in its neighborhood setting, conveys the residential development pattern in the southern portion of the original plat during the late nineteenth century. It also remains as one of the most well preserved of this group of substantial, merchant-built homes and serves as a testament to the success of his business and the prominence of Durlacher’s family in the community. The Durlacher House is located within the Original Town plat of Laramie in what was one of the first residential neighborhood developments. The neighborhood is diverse and many of the homes from the period of significance remain. Commercial development has compromised parts of 3rd and 4th Streets west of the Durlacher Residence, but overall the residential streetscape and feeling of the house remain. The Durlacher Residence faces west on the corner of 5th and Custer Streets and sits on a medium sized lot and an alley way runs behind the house on the east side. The two-and-a-half story, Queen Anne style dwelling is roughly square in plan, but irregularly shaped. The first-story is composed of stuccoed brick, and the upper floors are frame construction sheathed with coursed wood shingles. A porch with original turned spindle posts wraps around the façade of the home to the north elevation, and there is a steeply pitched roof. The residence retains many of its original materials and features including the majority of the windows and exterior decorations. Although the floor plan has been altered and some of the features removed, the interior of the home also retains sufficient integrity. Through the education of the communities young people, including many state and local celebrities, and its use as a public meeting place, the East Side School has made a significant contribution to the development of the city of Laramie. 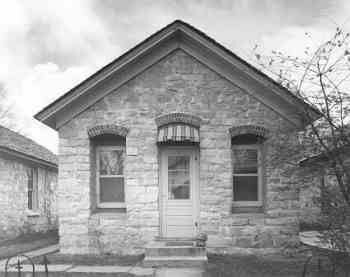 Constructed in 1878 it is the oldest school building in the state of Wyoming. Architect Peter Hanson described the original building as a handsome one fitting into what architectural historians term the Second Eclectic Period (c. 1860-1930). In actuality, the period contained two main streams of design. The first related to a Gothic revival that evolved into a related Romanesque revival that was a spring board to the modern movement in architecture. The second main stream was more academic in character. Influenced by the Ecole Des Beaux-Arts in Paris, its architecture was inspired by great periods of centuries past. The East Side School was inspired by the villa designs of rural northern Italy and introduced to America by way of England in the 1830s. By 1928 plans for a Gothic style addition to the school were complete. It would contain 67 rooms including a 5,635 square foot auditorium and a 5,310 square foot gymnasium. While the 1928 and a 1939 addition do not strictly adhere to the architectural style of the original 1878 building, sensitivity toward the original structure was demonstrated in the later additions. The F. S. King Brothers Ranch Historic District comprises 160 acres nestled northeast of Laramie, Wyoming. Miles of sagebrush and desert grasses, low hills and rocky outcroppings surround the ranch. The ranch house and outbuildings lie in a shallow valley at the confluence of three draws, and are the only man-made structures visible in this landscape. The draws are lined with cottonwood trees, aspen and willows, and the hills surrounding the ranch complex are dotted with pine trees, sagebrush and outcroppings of rock. A large stand of aspen grows in the yard to the east of the house. West of the ranch complex, an earthen dam forms a half-acre pond. This homestead served as the headquarters, and later the summer headquarters, of the F. S. King Brothers Ranch, which later became the King Brothers Ranch. The property contains the original homestead house as well as several original log outbuildings, and additional ranch buildings dating from the 1920s. It has statewide significance in agriculture, as a representative of the large sheep ranches that developed on the Laramie Plains in the late 19 th to early 20 th century. The property is also significant in exploration/settlement, as an intact early homestead on the Laramie Plains. The First National Bank of Rock River is significant because of its initial association with the development of the oil industry in the region and because it later became the focal point for Rock River’s social and cultural activities. 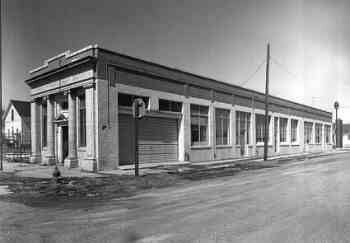 The bank was constructed in 1919 at the height of an oil boom occurring in Albany and Carbon Counties. After its initial use as a bank during the 1920s, the building became the property of the town. It has been used by the community for many diverse civic purposes, playing a key role in the continuing development of the town. The Flying Horseshoe Ranch is located in Albany County about two miles southeast of the town of Centennial. The ranch complex includes fifteen log buildings, two structures, and a stone root cellar. The ranch has operated continuously as a cattle ranch for over one hundred years. The buildings span the history of the ranch and depict its evolution from a small log homestead cabin to a substantial working ranch with a wide array of barns, stock shelters, and outbuildings. The original homestead cabin probably dates from the late 1870s or early 1880s when Mads Wolbol, an immigrant from Denmark, settled in Centennial Valley. The Wolbol holdings gradually increased until by 1902, he owned approximately 2,400 deeded acres of land. Starting with a herd of only twenty cattle, Mads Wolbol built up his enterprise until he became one of the foremost ranchers in the region. The ranch holdings were sold several times and was known by several different names over the years. At present, it remains a working cattle ranch. The Fort Sanders Guardhouse is the single substantially intact building remaining on the site of this military reservation erected in 1866 to protect and defend encroaching modern civilization in the Rocky Mountain West. 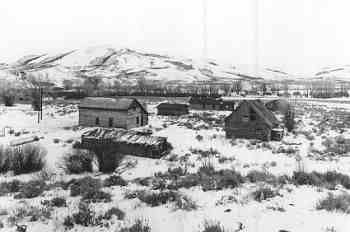 Initially, Fort Sanders troops aided emigrants traveling the Lodgepole Trail. Fort Sanders troops also protected the Denver and Salt Lake stage line. In the post’s sixteen year existence its troops were involved in twenty major skirmishes with Indians, although no battles occurred on fort grounds. Since men garrisoned at Fort Sanders participated in General Custer’s military campaign of 1876, it seems likely some probably fell at the Battle of the Little Big Horn. In 1867 the Union Pacific Railroad came onto the high plains of southern Wyoming. Surveyors and engineers were particularly vulnerable to Indian attack, and thus needed the aid of Fort Sanders troops. 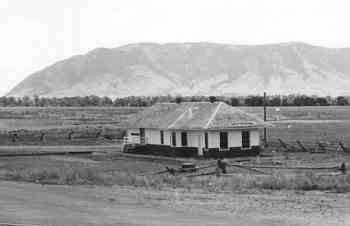 The establishment of Laramie City in the spring of 1868, situated about three miles north of the Fort Sanders post, prompted the construction of the guardhouse. 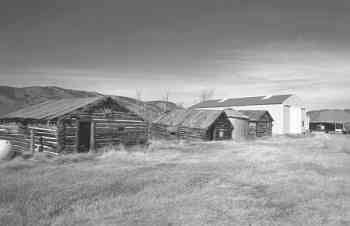 As Laramie’s economy boomed desertion rates at Fort Sanders soared. Likewise, drunkenness and boisterousness were endemic among the troops stationed at Fort Sanders, and when the guardhouse was completed early in 1869 it was usually full. After completion of Fort D. A. Russell at Cheyenne late in 1868, the importance of Fort Sanders began to wane. 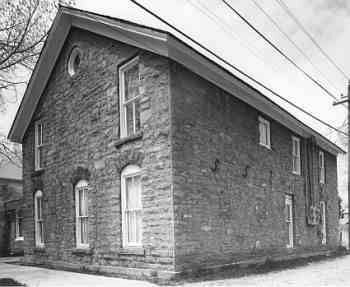 The War Department maintained Fort Sanders until 1882, when the property and buildings were sold and the post vacated. 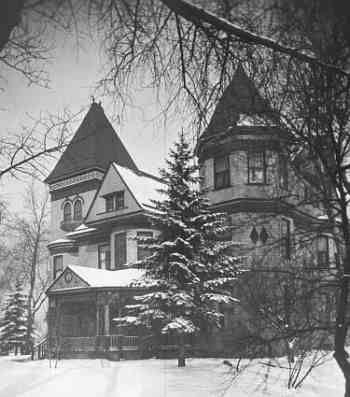 The Ivinson Mansion is significant for its association with two of the most prominent citizens in the history of Laramie and because it is the best surviving example in Laramie of Victorian architecture. The Ivinson home and carriage house were designed by W. E. Ware, a Salt Lake City architect. Construction began May 3, 1892 and when the house was completed by the end of that same year at a cost of approximately $40,000, it was probably the finest home in Laramie. Edward and Jane Ivinson came to Laramie in 1868. Mr. Ivinson worked as a mercantilist in the dry goods business. As a supply contractor, Ivinson planned to supply the camps along the Union Pacific Railroad which was in the process of being built. Very early in his Laramie business career Mr. Ivinson became a banker as well as a dry goods dealer. 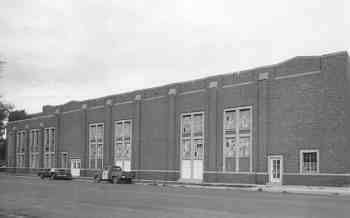 He also constructed much of the business block which now stands on Second Street between Ivinson and Grand Avenues. 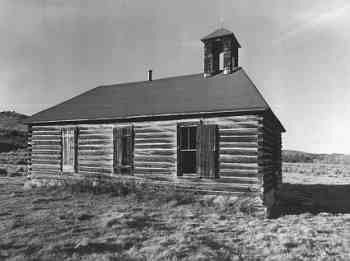 Jane Ivinson was instrumental in establishing the first school in Laramie in 1868. In addition to her work in education and Church related functions, Mrs. Ivinson helped to organize the first lodge for women in Laramie, the Rebekahs. The career of Edward Ivinson spanned a period of sixty years of Laramie’s history; that of his wife spanned forty-seven years. The political, economic and social history of Laramie, almost from its inception, contain the names of the Ivinsons. The Ivinson Mansion stands as a monument of local historic significance in that it reflects the careers of these two prominent citizens. 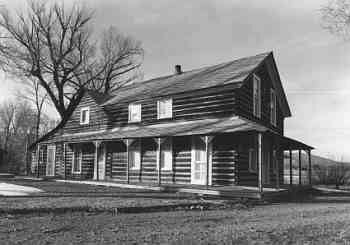 Three and a half miles south of Woods Landing, in the bottomland of the Big Laramie River, is the site of Cummins City, later named Jelm, and later a part of the Frank Smith Ranch. The historic district is just over a half-mile wide and includes a portion of Highway 10, as well as a portion of the lower slopes of both Jelm Mountain to the east and the Medicine Bow Mountains to the west. Nineteen structures are found at Jelm and the Frank Smith Ranch Headquarters. Cummins City developed as a mining camp. Placer gold is reported to have been discovered in the Medicine Bow Range as early as 1858. 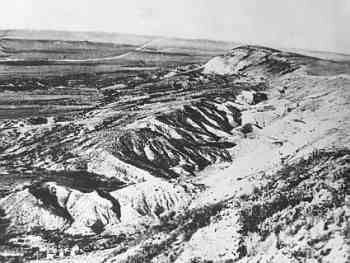 In 1879 new prospects were discovered in gold-bearing quartz along the Upper Big Laramie River at Jelm Mountain. John Cummins promoted his mining interests in the region and by 1880 a plot for the new town called Cummins City was drawn up. Numerous buildings were erected including individual cabins, a boarding house, a meat and vegetable market, paint store, restaurants, blacksmith shops and a livery stable, and at least one bar. However, by the end of 1881 Cummins City began to decline. By 1886 it was reported that with two exceptions at a copper mine and at a bismuth mine, no mining had been done in the Cummins City district. Later, near the turn of the twentieth century, interest in the mining district was revived by the discovery of copper in the Medicine Bow and Sierra Madre ranges, and in 1898 the Jelm Mining District was created. A new town plan was drawn up and in 1900 Cummins City was resurrected as Jelm. Mining carried on intermittently at Jelm, although it was not a large or permanent settlement. One who worked at both Cummins City and Jelm was Frank Smith. Smith was employed by John Cummins in the Jelm Mining boom. 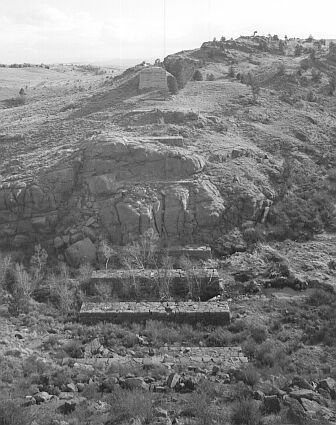 Following the decline of the gold mining district, Smith established a homestead on the east bank of the Big Laramie River near the Jelm townsite. 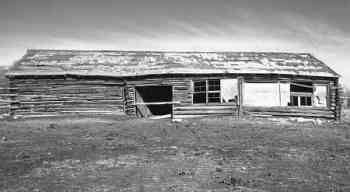 The Frank Smith Ranch is an example of an early pioneer Wyoming ranch. Because of the association of its original owner with the development of the Jelm Mining District, because of the physical proximity of the ranch headquarters to the Jelm townsite, and because of architectural similarities between the headquarters and the townsite, the two have been placed together in a historic district.